Vera Hruba Ralston, the Czech-born ice-skating star whose B-movie career at Republic Pictures in the 1940s and '50s never equaled her performances on the ice, died at home on February 9, 2003 after a long battle with cancer. She was 81. Born Vera Hruba in Prague, Czechoslovakia, she first achieved modest fame as an ice skater and Olympic athlete who competed with Sonja Henie in the 1936 Winter Games. She came to America to escape World War II and was hired by Republic Pictures head Herbert Yates who hoped to replicate the success that 20th Century Fox had with Sonja Henie. 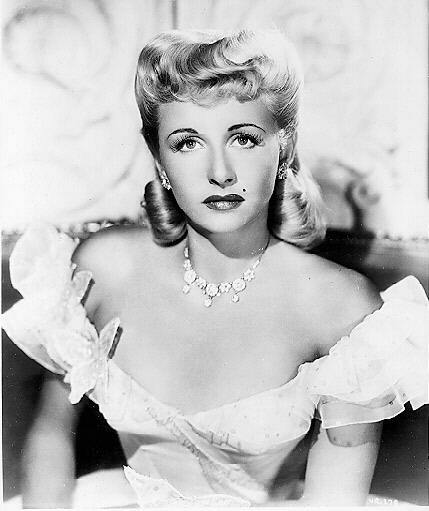 After featuring her in Ice Capades (1941) and Ice Capades Revue (1942), Yates added Ralston to her name and tried to pass her off as a leading lady. However, Hruba's English was so limited she was forced to learn her lines phonetically. While her English would improve and directors said she tried hard to learn her craft, her stiff acting and thick accent left her hard for audiences to accept. Despite the criticism, Yates pushed Ralston to become a latter-day "queen" of Republic Pictures. She assumed leading-lady responsibilities in The Lady and the Monster, followed by the wartime drama Storm Over Lisbon and the iceskating musical Lake Placid Serenade (all 1944). Unfortunately, Ralston's thick accent and lack of training made her a target of critics. Yates insisted on pushing ahead, teaming her with the studio's top star, John Wayne, in Dakota (1945). She appeared in other low rate Westerns such as Wyoming (1948) and again with John Wayne in The Fighting Kentuckian(1951. It is rumored that Wayne threatened to leave Republic if forced to work with Ralston again. Ralston reciprocated the attention Yates gave her and they married in 1952. Ralston eventually became a passable actress, with Fair Wind to Java (1954) is considered one of her better pictures. However, she never won public acceptance. Her last film was The Man Who Died Twice (1958). Republic closed their doors the following year and Ralston never made another film.